The Ebury Cottages & Apartments are a short walk from the historical city centre of Canterbury, perfectly positioned for a short break or long weekend to explore the sights of this Medieval city. Canterbury offers a wealth of shops for those after some retail therapy. You’ll find all your high street favourites, as well as boutique shops. There’s also a plentiful choice of cafes, bars, pubs and restaurants. Canterbury is also home to the Marlowe Theatre and the Kent Country Cricket Club which is just a short walk from Ebury Cottages. For a city centre hotel in Canterbury, the Ebury Cottages & Apartments offer an ideal base. The Ebury Cottages & Apartments are nestled in the spacious gardens of the Ebury Hotel in Canterbury. Each of the cottages overlooks the well kept garden, which offers a wealth of space for children to play in the warmer months. After a busy day exploring Canterbury, guests can relax on the sun terrace or patio with a drink from the bar. The luscious gardens are also home to two hot tubs, sheltered by the pagodas. The Ebury Cottages & Apartments offer fantastic self-catering accommodation in Canterbury. Each of the apartments have a fully equipped kitchen with a fridge, oven and grill. There’s even a dishwasher so you don’t need to worry about doing the washing up afterwards. 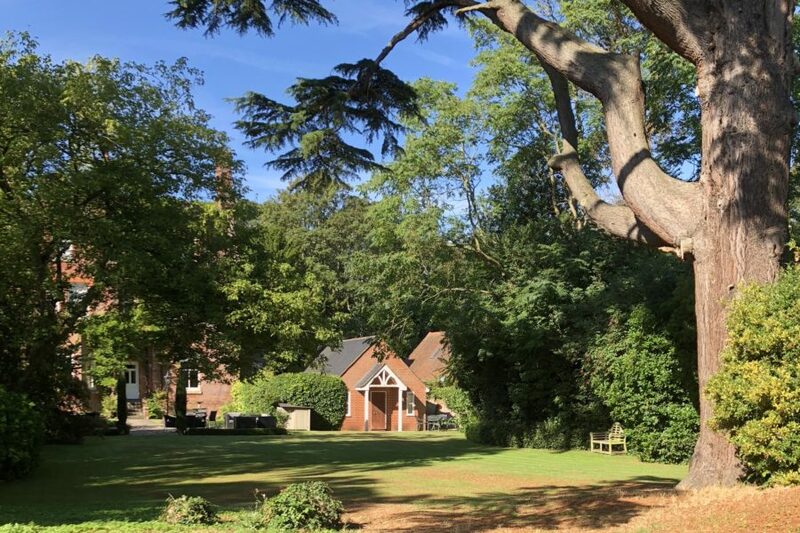 Ebury Cottages & Apartments is a great choice for a self-catering cottage rental in Canterbury, but if you don’t fancy cooking, Henry’s Bar in the Ebury Hotel serves delicious hot evening meals. And in the morning, you can get a full English breakfast in the hotel for a small charge. Or why not wander into Canterbury and take your pick of the enticing restaurants on offer. Seven of the eight cottages are on the ground floor without stairs, making them easily accessible. There’s plenty of free parking available, and some of the cottages have parking directly outside.